Using basic items that can be found around the house, I made a pumpkin, frankenstein and a ghost using sandwich bags, a sharpie, pipe cleaners and candy. 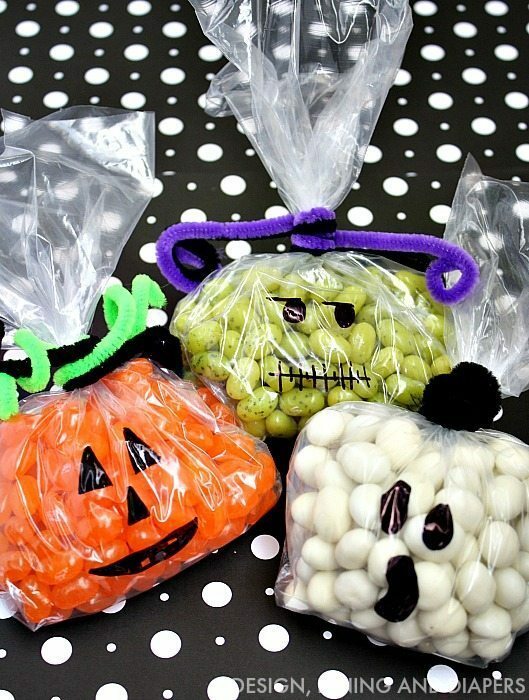 And depending on what type of candy you use you can make them pretty inexpensively. These little favors are super easy to make and you can let your imagination go as you draw on each face. Make them scary, silly, funny or grumpy. Thanks for having me over today, Jen! Thanks Taryn! That’s such a fun and EASY idea!! I know any kid would love helping to put those together. Taryn has so many great ideas on her blog and great style. Here are a few posts of hers I think you’ll love. I love this idea for a theme for a party! Taryn put together a Modern Camping Birthday Party that I think you’ll love. She also shares great recipes that are gluten free too! These Pumpkin Muffins look amazing. And, if you’re looking for some inspiration for your fall front porch, check out her beautiful Fall Porch Decor. I love these pumpkins, but the whole porch is beautiful! 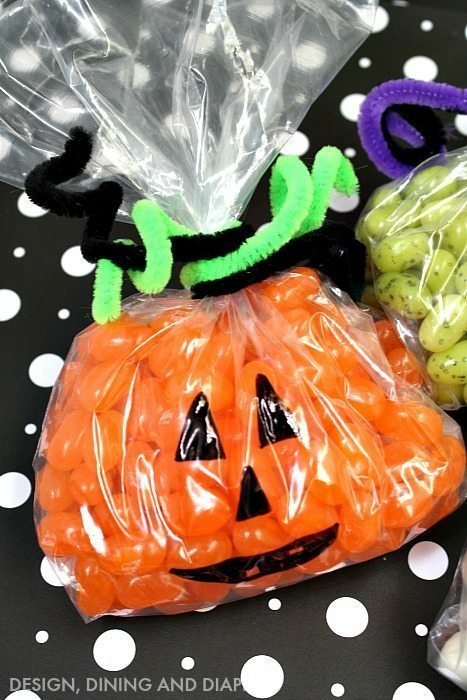 Three Free Halloween Printables: Easy Party Favors! 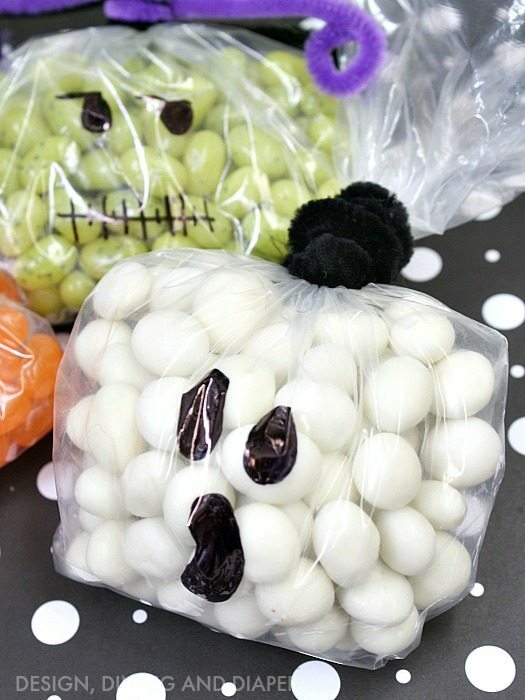 Great Ideas — 20 Black & White Halloween Projects! $1,000 Money for Christmas Giveaway! 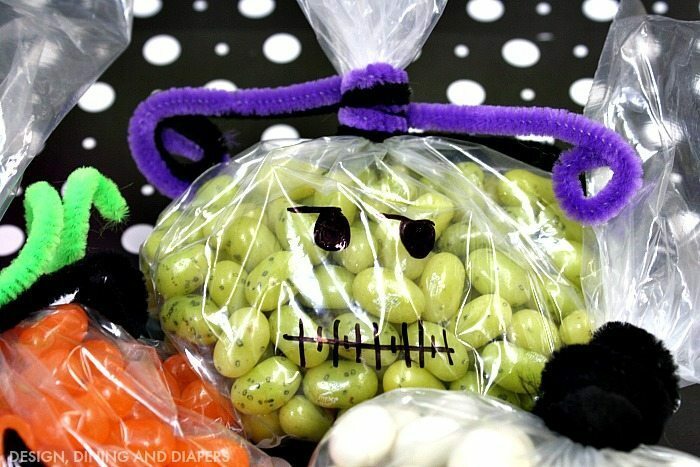 If you don’t want candy, you could easily do the Frankenstein one with green grapes. Cute idea! Thank you so much for having me over today, Jen! Love this idea! 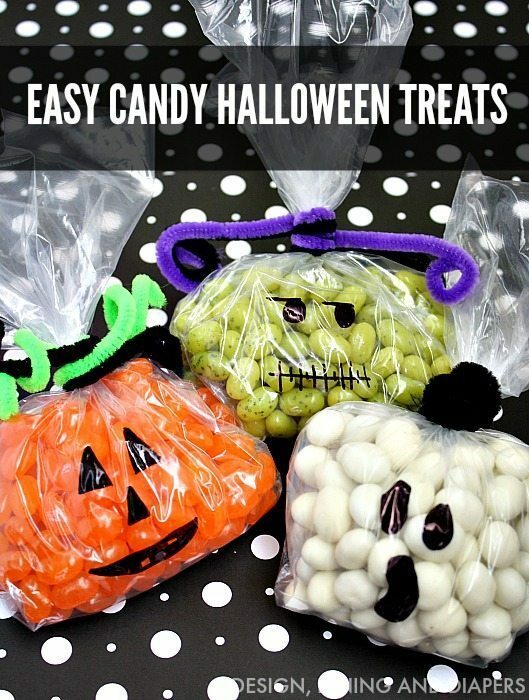 Cute and easy, plus if I take the time to make these I probably won’t end up eating all of the Halloween candy before Halloween is actually here!